Chelsea Clinton's Hiring As NBC Reporter Prompts Journalistic Eye Rolls : It's All Politics For many years, Chelsea Clinton refused to be interviewed by the press. Now that she's joined their ranks, as a special correspondent for NBC News, many in the news industry have reacted with a figurative eye-roll at the irony. Chelsea Clinton at a Clinton Global Initiative meeting in New York, Sept. 22, 2011. For many years, Chelsea Clinton refused to be interviewed by the press. Now that she's joined their ranks, as a special correspondent for NBC News, many in the news industry have reacted with a figurative eye-roll at the irony. Opinions about her addition to the Fourth Estate range from skepticism to outright disgust. Why? Pick a reason: no reporting experience, a rocky history with news media, or NBC's ongoing bet that famous people reporting the news can attract viewers. For some critics, it's all of the above. NBC News announced the hiring on Monday, effective immediately. Clinton, the 31-year-old daughter of Secretary of State Hillary Clinton and former President Bill Clinton, will contribute to the "Making a Difference" series on "NBC Nightly News" and possibly the new primetime newsmagazine show "Rock Center With Brian Williams," according to the network. It's the latest effort by television networks to inject the power of celebrity in their news programming, often by removing journalists as anchors. The majority of primetime news shows on cable television now are hosted by former politicians and politically liberal or conservative commentators. Clinton isn't even the first daughter of a president to work at NBC News. In 2009, the network hired Jenna Bush Hager, daughter of former President George W. Bush, as a correspondent for "Today." And MSNBC recently hired Republican activist Meghan McCain, the daughter of Sen. John McCain (R-Ariz), as an analyst. Along the same lines, other NBC on-air talent includes Luke Russert, son of the late "Meet the Press" host Tim Russert, and Cody Gifford, son of longtime TV host Kathie Lee Gifford. "So far, this makes a grand total of five high profile children of celebrities, most with little or no network TV experience, hired with great fanfare at the Peacock Network's news division over the last few years." "No one expects you to betray the confidence of your parents or husband... But given your access to powerful people, smarts, and social connections, if you can't come up with some phenomenal muckraking stories about what's broken in America, you're not trying very hard. In fact, that's the beat you should work toward if you're serious about using your unique experiences and privilege on behalf of the public good. "So are you serious about participating in the Fourth Estate? Or is the cynicism of your critics justified? I hope it's the former." "... Her first action as a newly-minted interviewer is to refuse giving interviews to any other journalists. The irony here is getting thick, people." "The hiring of Chelsea Clinton doesn't so much debase the TV news currency... as reveal its true value. Lack of experience is no bar to becoming an on-air personality because there's always money for staff to back up the neophyte. Journalism is less a profession than it is a description–that is, anybody with a good idea and some sources and a modicum of literary talent can commit a worthwhile (or watchable/readable) act of journalism. It hurts journalists to hear this, but there really are no bars to entry. 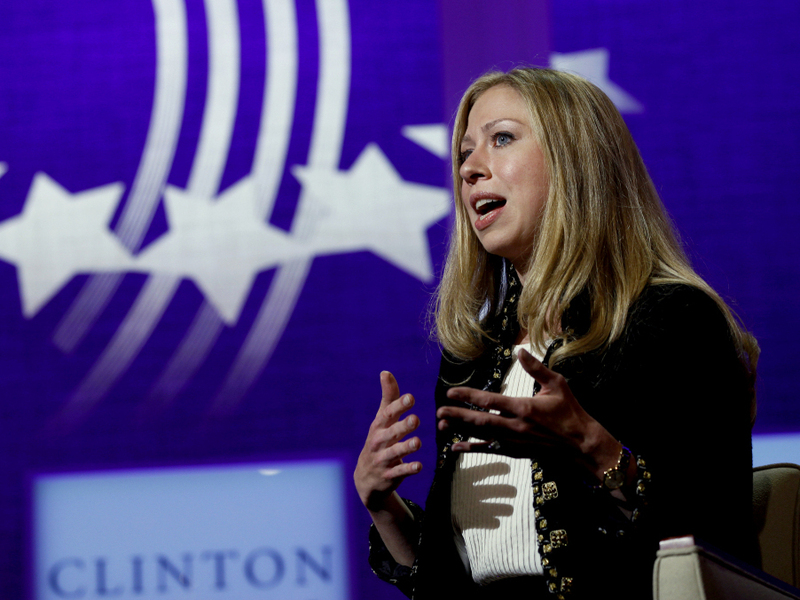 If I can be a journalist, why can't Chelsea Clinton?" That may be difficult for many of Clinton's new colleagues to accept (not just because newsrooms continue to respond to declining readership, viewership and advertising revenues by reducing staff). Because, despite the blurred line separating news from opinion—or correspondents from commentators—it seems that a number of journalists still believe they are the only ones who should report the news. Even if some of their bosses aren't so certain.